It’s mission impossible time – you’ve booked a weekend in Berlin, arrived and suddenly realized that 48 hours may not be enough time to see everything that’s worth a look. So what do you do? Well obviously you pick the attractions which seem most suited to your tastes, but for a few pointers on how to see the best attractions and areas of Berlin, here’s a handy little guide to give you a head start! Of course you’ll still miss out on some of the fabulous sights and experiences, but perhaps that might encourage you to book a week’s break next time! First things first, head on over to Museum Island east of Unter den Linden. With 5 of Berlin’s greatest museums it may be hard to fit them all in to one day. If this is the case then you should definitely make sure you pop into the Egyptian museum Neues. 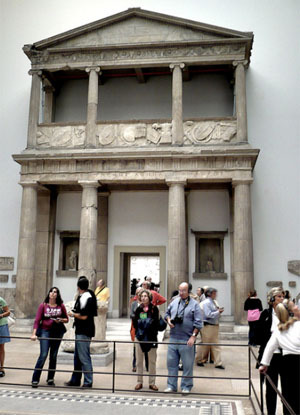 I also advise you to stop by Pergamon museum as it is one of the world’s most renowned archaeological museums and has some absolutely fantastic items on display, such as the Islamic art collection and the Ishtar Gate of Babylon! It’s now time to head on over to the The Topography of Terror in Niederkirchnerstraße 8. The Topography of Terror is built exactly where the SS and Gestapo headquarters once was and has witness stories, maps of Jewish concentration camps and horrifying pictures to give tourists a clear indication as to what went on during Nazi rule. You definitely have to check this place out and the fact that it’s free leaves you with no excuse! After all that walking around Museum Island and The Topography of Terror, I’m sure it’s time for a quick rest. Well why not have yourself a nice relaxing picnic in Mauer Park, one of the nicest parks in Berlin! If you happen to be there on a Sunday then you’ll no doubt catch the massive flea market which sells old records, bicycles and clothes at very attractive prices. Enough relaxing, it’s now time to explore the tranquil forest of Grunewald – If you happen to have a bicycle then this is especially fun! The forest also has several clean and fresh lakes for you to take a dip in whilst you’re here and a large man-made hill which was constructed during World War II. By now it should be getting late and so it’s now time to enter Berlin’s absolutely awesome nightlife! So get back to the hotel, put on your dancing shoes and get ready to party in Berlin’s techno scene. I advise you to boogie on down to either the KitKatClub, Berghain or Tresor as they are renowned for being the best! Most clubs worth checking out are near Ostbahnhof in East Berlin, although there is an amazing club called Cassiopeia near the train line in Warschauer Straße which is definitely worth checking out if you have the time. It’s a new day in Berlin and today will be spent mostly around Unter den Linden due to it being a tourist hotspot for historical sites. First up is Brandenburg Gate which has been around since the 18th century and is certainly a sight worth seeing. Next up is the Holocaust Memorial. You simply can’t come to Berlin and not pay your respects to the thousand of Jewish people that died under Nazi rule. Pillar after pillar to commemorate the Jewish that were slaughtered is a sobering sight, but an important lesson from history. There is also a museum opposite the Holocaust Memorial with all the names of the Jews that were killed. 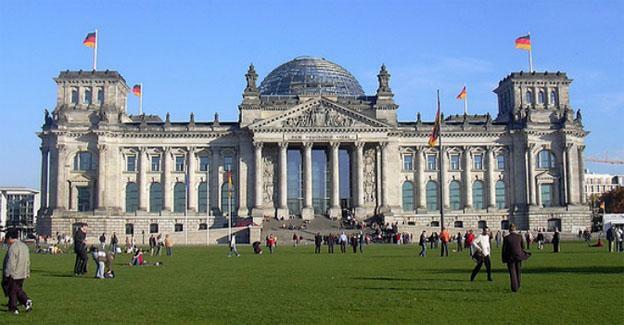 Another very popular tourist attraction located near the Brandenburg Gate, The Reichstag is home to the German parliament building Bundestag. Once at the top of the dome you can see what could possibly be the best view of Berlin with audio guides pointing out all of the most interesting and important landmarks. This Friedrichshain Open Air Cinema is a great place to relax and watch a movie when the dusk settles in. Movies are usually in English and can be enjoyed by sitting in a deck chair with one of many refreshments available. It’s a unique experience if all you are used to is indoor cinemas. After a full 2 days of sight seeing and a hard night of partying, I’m sure you’ll be very worn out at this stage. Rest easy and enjoy your flight home knowing that you have made some of the best memories you will ever make here in Berlin. No doubt you will be back as there are so many awesome things to do in Berlin!